Brightly colored Post-It Note stuck to tape makes a good tag. below bracts. 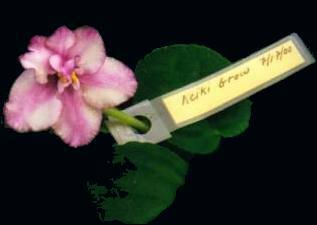 Be sure to add date of applying Keikigrow Plus.